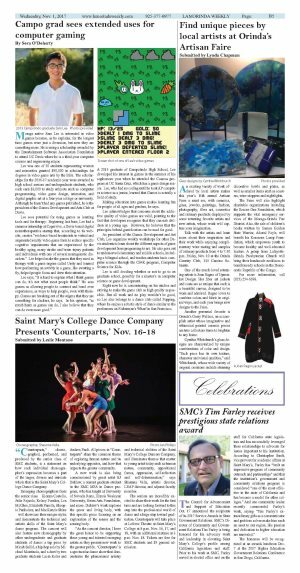 "Counterparts," choreographed, performed, and produced by the senior class of SMC students, is a statement on how each individual choreographer's expression becomes a part of the larger, diverse and intricate whole that is the Saint Mary's College Dance Company. Emerging choreographers from the senior class - Kionna Costello, Julia Fajardo, Kelsey Foraker, Lea McGhee, Elizabeth Panella, Shoopie Panholzer, and MacKenzie Shine - will showcase their unique styles and demonstrate the technical and artistic skills of the Saint Mary's dance program. 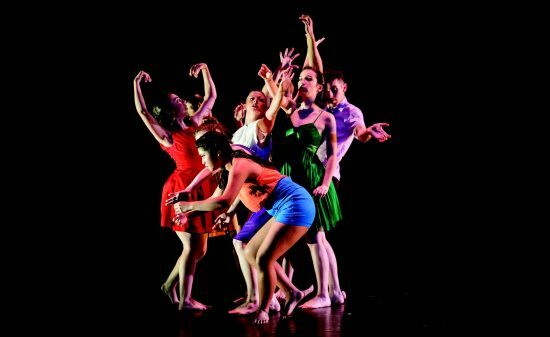 The concert will also feature new choreography by other undergraduate and graduate students of dance: a tap piece by Micah Sallid, a hip-hop solo by Michael Montinola, and a duet by two graduate students Lacin Keles and Andrea Pardi. All pieces in "Counterparts" share the common theme of exploring human nature and its underlying opposites, and how that impacts the greater community. A new work is also being commissioned by guest artist KJ Dahlaw, a current graduate student in the SMC MFA in Dance program, who has taught at University of Nevada Reno, Illinois Wesleyan University, Sierra Arts Foundation, and more. Dahlaw's work explores the queer and living body, with this specific piece focusing on an exploration of the senses and the sensing body. "As the concert director, I have the great honor to be supporting these young and talented emerging artists as they present new work to the greater public. 'Counterparts' is a spectacular dance show that demonstrates the phenomenal artistry and technical abilities of the Saint Mary's College Dancers Company, and illuminates themes that matter to young artist today such as human nature, community, oppositional forces, oppression, self-reflection and self-determination," says Shaunna Vella, artistic director, LEAP director, and adjunct faculty member. The seniors are incredibly excited to share their work for the first time and are looking forward to this step into the professional world of dance and a huge step toward graduation. Counterparts will take place at Lefevre Theatre at Saint Mary's College at 8 p.m. Nov. 16, 17, and 18, with an additional matinee at 3 p.m. Nov. 18. Tickets are free for SMC students and $5 general admission.